UOB’s heritage and values define and drive our customer-centric approach to building our business across the region. We are committed to acting in the best interests of our customers and to helping them meet their financial, business and lifestyle goals by providing the most appropriate solutions and services that suit their needs. As we harness technology to make banking simpler, smarter and safer for our customers, we also ensure that every digital experience is wrapped in the warmth of the human touch. Our values guide all that we do and ensure that we act in the best interests of our customers. We are guided by four customer commitments built on our values of being Honourable, Enterprising, United and Committed. We maintain the highest professional and ethical standards in all our dealings with our customers. We have uncompromising discipline, clarity and courage to do what is right for them and to make every decision in their best interest. We draw on our experience, insight and entrepreneurial spirit to provide our customers with solutions that help them achieve their financial goals and aspirations, and manage their daily and future requirements, however simple or complex. We learn our customers’ preferences and know what matters to them with every interaction. By understanding them better, we anticipate our customers’ needs and offer them the most relevant financial solutions. We always stand by our customers and this is enabled by our long-term business approach, strength and stability. Participants of a Fair Dealing workshop in Singapore. Integrity, trust and respect – core elements of Fair Dealing – are deeply rooted in all aspects of the relationships we nurture with our customers; from how we develop our products and services through to our after-sales care. dealing with feedback in an independent, effective and prompt manner. Our Fair Dealing Guidelines Committee champions Fair Dealing across the Group and assists the Board and the Senior Management in the delivery of Fair Dealing outcomes to our customers. As part of this, the Committee reviews and approves the action plans, guidelines, processes and practices to achieve Fair Dealing outcomes. It is responsible for establishing a management information framework for business functions to measure the achievements of Fair Dealing outcomes and conducts regular meetings with them to monitor their progress. Our Product Sales Committee reviews and approves investment products distributed by UOB and its banking subsidiaries, as well as the relevant Product Due Diligence and Sales Governance Frameworks. All UOB employees are required to complete an e-learning module on Fair Dealing every year. We reinforce our colleagues’ understanding of the importance of Fair Dealing through regular internal communication campaigns. In addition, we hold an annual Fair Dealing workshop in Singapore where various business and support units share their service improvement initiatives with one another. These initiatives are developed based on customers’ feedback and the surveys that we conduct regularly across all customer segments. At the workshop in 2017, more than 70 improvement initiatives were identified as part of our proactive and continual efforts to improve our processes, service standards and customer experience. The implementation of these initiatives has contributed to a 47 per cent rise in compliments and a 32 per cent decrease in complaints in 2017 from 2016, from our customers in Singapore. Similar workshops will be organised across the region in 2018. We are committed to improving the quality of our interaction and engagement with customers. To measure customer satisfaction and retention across our business and product groups, we use the Net Promoter Score (NPS) metrics which indicate the net likelihood of a customer recommending a company’s brand, product or service to others. The NPS is an established worldwide metric used to measure customer loyalty and to predict business growth. 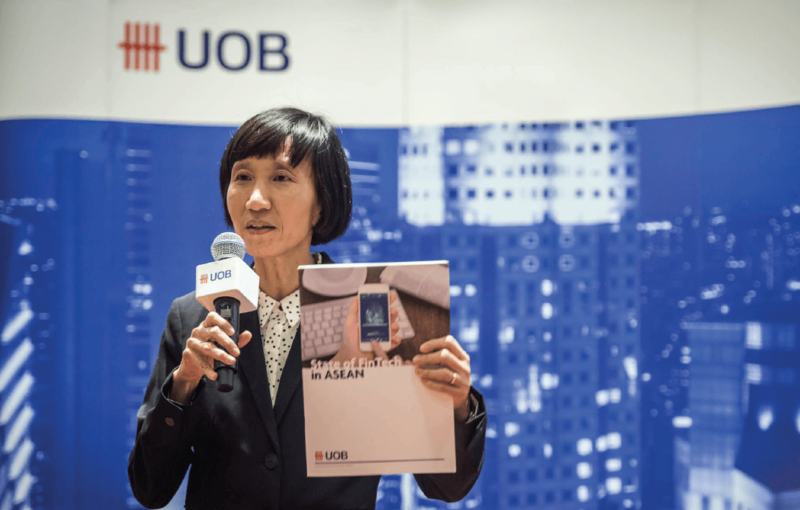 Of the retail customers in Singapore who purchased investment and insurance products in 2017, 59 per cent stated they would recommend UOB to their friends and family, an improvement compared with 51 per cent the year before. We take customer feedback seriously and have robust procedures in place to address their concerns promptly. We have guidelines to govern the complaint investigation and resolution process and an independent review panel to review complaints. In 2017, we maintained our standard of resolving 98 per cent of general complaints within five business days. Our Group-wide training programme, The Art of Service Recovery, equips our employees with the necessary skills to resolve customer complaints and to turn challenging situations into positive outcomes. In 2017, we conducted four workshops for 180 colleagues from China, Malaysia, Singapore and Thailand. We received the Kindness At Work Certificate of Recognition from the Singapore Kindness Movement for The Art of Service Recovery programme. We are also involved in industry surveys which provide an objective gauge of our service standards. The surveys include the Customer Satisfaction Index of Singapore (CSISG), a respected industry benchmark administered by the Singapore Workforce Development Agency and Singapore Management University. Our CSISG score in 2017 showed an improvement of 0.9 points to 71.7, compared with the year before. Just as we are prudent in our business practices to ensure financial stability through credit cycles, we are committed to mitigating environmental, social and governance (ESG) risks in our operations. One of the ways in which we support sustainable development is through responsible financing. The Bank has dedicated resources with clear roles and responsibilities to implement it. The Credit Committee approves our Responsible Financing Policy, which is embedded within UOB’s Group Corporate Credit Policy. This ensures that ESG considerations are integrated into our credit evaluation and approval processes. Management has oversight on ESG matters including climate change risks and opportunities which may impact our financing activities. Group Credit is responsible for ensuring that all ESG risks are adequately addressed and where necessary, borrowers or projects with high ESG risk will be escalated to the Group Credit Committee for further review and approval. Consistent with UOB’s overall risk management approach, ESG risks are managed through our three Lines of Defence control structure. Our Responsible Financing Policy applies to all borrowing customers of Group Wholesale Banking. Under the policy framework, our account officers are required to conduct due diligence on all new and existing borrowers during the client onboarding process and annual credit review. Borrowers are assessed for material ESG risks and their track record in sustainable business practices. We have also implemented sector-specific Credit Acceptance Guidelines and have ESG checklists in place to help our account officers in identifying, assessing and reviewing ESG risks. Our borrowers are classified based on the level of ESG risk inherent in their business operations. Those that fall within the following eight ESG-sensitive industries defined in The Association of Banks in Singapore’s (ABS) Responsible Financing Guidelines will be subject to enhanced due diligence with sector-specific guidelines. We notify our borrowers of their need to adhere to our Responsible Financing Policy and seek their representation and warranties to ensure compliance, including with local ESG regulations in the countries in which they operate. We also encourage them to follow established industry standards, to obtain relevant certifications and to adopt best practices for proper water and waste management, the reduction of greenhouse gas emissions and the management of occupational health and safety risks. The policy references international standards and conventions such as the Roundtable on Sustainable Palm Oil, Forest Stewardship Council and the World Heritage Convention. We engage with our borrowers proactively and continually and work with them to improve their ESG practices. In addition, we monitor our borrowers on an ongoing basis for any adverse ESG-related news. For example, borrowers with any known ESG-related incidents will trigger an immediate review with the ESG risks to be addressed and managed appropriately. We require our borrowers to rectify any breaches of our policy within a reasonable timeframe with account officers responsible for monitoring their progress. 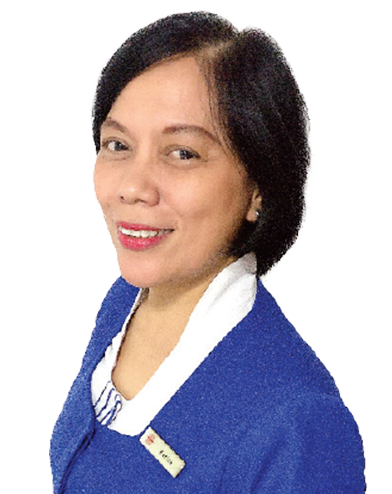 However, if we deem our borrowers unable or unwilling to commit to managing the potential adverse impact of their operations, we may choose to review and to reassess the relationship. involved in animal cruelty and the trade of endangered species as defined by the Convention on International Trade in Endangered Species of Wild Fauna and Flora. We review our Responsible Financing Policy periodically. In 2017, we incorporated the requirements of the ABS Haze Guidelines into our policy in relation to the agriculture sector, in particular with regard to the financing of palm oil plantations. The Haze Guidelines were developed by ABS in consultation with Singapore banks, including UOB, and underscores the industry’s commitment to helping to address the transboundary haze pollution in the region resulting from land clearance by open burning. In addition to the prohibition on open burning, we require our borrowers to comply with local regulations regarding the planting on peat and to work with local communities to put in place adequate measures on fire prevention, monitoring and suppression. We review our portfolio’s ESG exposure periodically. As at 31 December 2017, all the borrowers in the eight ESG-sensitive industries had undergone the ESG risk assessment with relevant risks adequately mitigated and managed. The Bank had not had a significant concentration in any of the eight ESG-sensitive sectors, which collectively accounted for approximately 10 per cent of our total loan portfolio. In 2017, we also stepped up our capacity-building efforts across the region with more than 80 per cent of our colleagues in relevant roles undergoing training on responsible financing. The training programmes enable them to understand our Responsible Financing Policy better, to strengthen their awareness of key ESG issues and to identify and to assess ESG risks more effectively. We also actively participated in sustainability forums and workshops organised by non-governmental organisations. We will continue to work with prominent non-governmental organisations to conduct workshops for our employees and to engage with regulators to keep abreast of industry changes and evolving stakeholder expectations. More than 100 UOB clients attended the Metals and Mining forum in Shanghai. At UOB, we are committed to working with our clients in ESG-sensitive industries to promote ESG awareness. 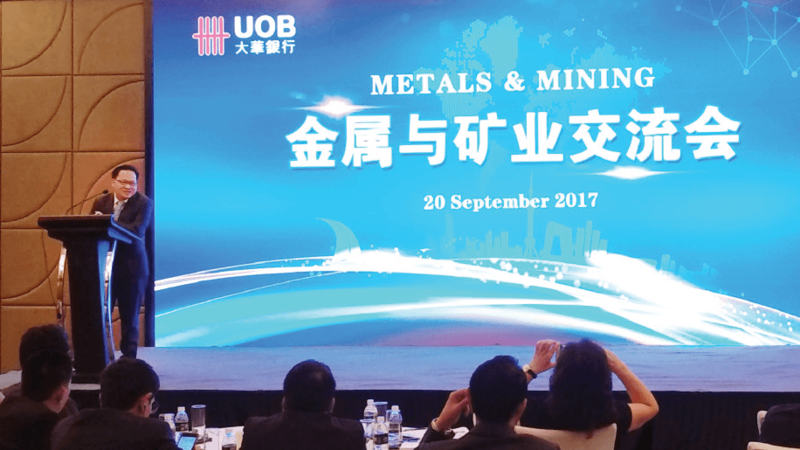 In September 2017, UOB organised a Metals and Mining Forum in Shanghai, China for more than 100 clients to gain insights from industry experts on environmental conservation, sustainable mining operations and the latest recycling technology and solutions for the sector. Protecting our customers’ personal data and privacy is key to maintaining their trust in us. We have extensive policies and processes in place to ensure the confidentiality and security of our customers’ information. We are also committed to complying with the Personal Data Protection Act of Singapore and upholding industry best practices. personal data that is no longer required for legal or business purposes must be destroyed securely in accordance with document retention policies. Mindful of evolving threats and rising international data privacy standards, we conduct regular reviews to ensure the robustness of our systems. Data privacy impact assessments also form an integral part of our business and product development. We have in place a data breach, complaint handling and escalation process and the Group Operational Risk Management reviews the monthly incident reports. 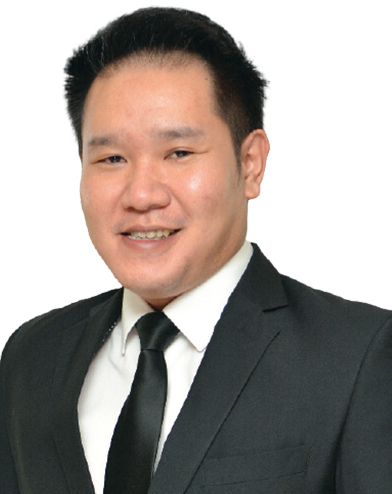 Line data protection officers at functional and business levels in Singapore and locally appointed officers at overseas locations report to the Franchise Data Protection Officers in Singapore, who in turn report to the Group CEO. Our data protection officers ensure compliance with local and Group requirements and assist in investigating alleged breaches. In addition, our people undergo annual online training on the principles, policies and procedures for data privacy and security. We respect our customers’ marketing preferences and have processes in place to record their consent to receive telemarketing calls and to allow hassle-free withdrawal of such consent. Customers have the right to request access to and correction of their personal data, and we facilitate their requests through various channels. Information on our approach to privacy and data protection and contact details for our Data Protection Officers are available on our website. Our UOB Privacy Notice is also available online and at all branches in Singapore. In 2017, there were no legal proceedings taken against UOB in respect of any data privacy breach, nor any fine or other sanction imposed on the Bank by the Singapore Personal Data Protection Commission. We continue to invest in technology to enhance our product and service capabilities to meet our customers’ changing lifestyles and business needs. Our technology investments focus on mobility, payments, connectivity and data, while strengthening our technology infrastructure to address regulatory changes and cybersecurity threats. In the last four years, we invested $1.2 billion to improve our digital capabilities and to ensure a safe and efficient banking experience for our customers. Banking is being increasingly conducted on smart mobile devices. To match our customers’ lifestyle preferences, we continually look for ways to enhance our mobile service offerings and our all-in-one mobile app, UOB Mighty, is one way we are doing this. Since 2015, we have been championing integrated payment options for our customers through UOB Mighty. In 2017, our customers were the first in Singapore to use their social messaging apps to pay via PayNow, a local peer-to-peer funds transfer service launched by ABS as part of Singapore’s Smart Nation initiative. This was made possible with the launch of UOB MyKey – the Bank’s mobile keyboard for Android smartphones that is part of UOB Mighty. During the year, we were the first and only bank in Singapore to enable customers to use PayNow through UOB Mighty to donate to charity. We also enabled Quick Response (QR) Code payments through UOB Mighty. 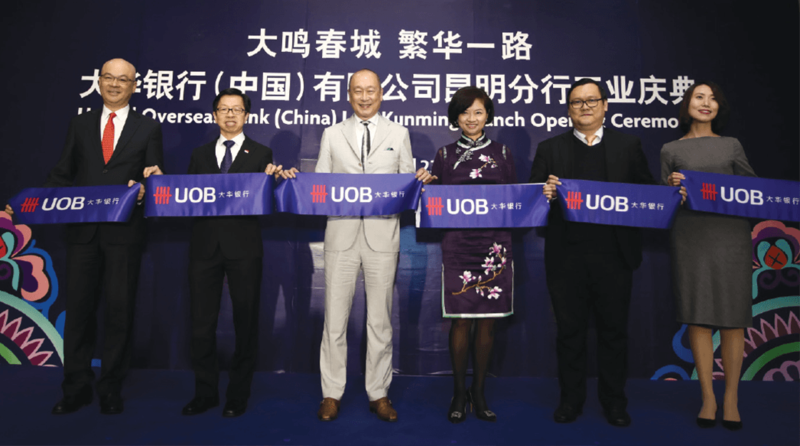 In addition, we launched the UOB Mighty in Malaysia, making it the first mobile banking app in Malaysia to incorporate banking, dining and payment features in a single app. In Thailand, UOB Mighty is also the first mobile banking app in the country to include contactless payments with a credit or debit card. This move is in line with the Thai government’s National e-Payment initiative and PromptPay campaign to create a cashless society. More information on UOB Mighty and other mobile banking solutions can be found in the Group Retail section of this report. 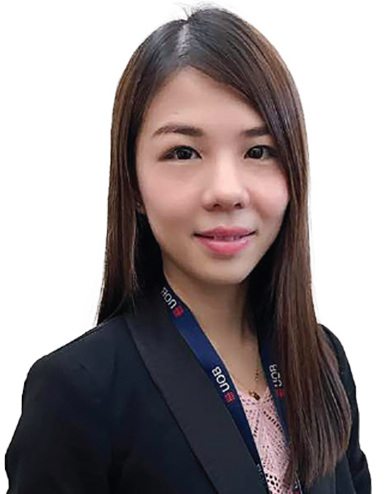 UOB BizSmart is a suite of cloud-based solutions that enables small businesses in Singapore to be more effective in their administrative processes. Since its launch in 2016, more than 1,300 small businesses in Singapore have benefitted from the UOB BizSmart solution. In 2017, we partnered with SAP, a market leader in enterprise application software, to offer SAP Business One, a complimentary, entry-level solution to help our small- and medium-sized enterprise (SME) customers seize growth opportunities in the digital economy. This is the first time that SAP is offering the SAP Business One to SMEs through an Asian bank. The SAP Business One is available as part of UOB BizSmart and enables our customers to manage their company finances more effectively. More information on UOB BizSmart can be found in the Group Retail section of this report. To help our corporate clients manage the financial side of their businesses better, we launched the UOB Virtual Payment Solutions suite in 2017. This is Southeast Asia’s first virtual accounts payable solution. It enables businesses to pay their vendors and suppliers through a virtual corporate credit card account even if these parties do not accept card payments. As the account reconciliation process for the UOB Virtual Payment Solutions is automated, the companies will be less reliant on manual processing and will be able to redeploy their resources to focus on other areas of business. More information on our wholesale banking solutions can be found in the Group Wholesale Banking section of this report. During the year, we signed up for SWIFT’s global payments innovation (gpi) initiative. SWIFT gpi is a valuable addition to UOB’s suite of financial solutions, enabling our clients to have greater visibility and control over their cross-border payments. In 2017, UOB participated in the development of an Application Programming Interface (API) Playbook for financial institutions in Singapore. The Playbook was issued by ABS to encourage financial innovation in the industry and to guide banks in developing and adopting an open API-based system architecture that will lead to better customer experiences. In addition, we collaborated with financial technology (FinTech) companies to harness their creative strengths for our digital transformation. We have developed an API Gateway to enable our ecosystem partners such as start-ups and e-commerce companies, to request for and to retrieve information from our Bank’s systems seamlessly. This will enable our partners to develop solutions that link to our banking services while ensuring that our customers’ information is protected and secure. We demonstrated the use of our Gateway and our APIs at the Singapore FinTech Festival 2017 where we collaborated with a FinTech company to host an Open Banking Masterclass for API developers. In 2017, we welcomed to the Bank our first virtual employees, Amy and Eve, to increase our operational efficiencies in providing services to customers. Using Robotics Process Automation, Amy and Eve are responsible for processing requests for Letters of Credit for our corporate clients and reviewing credit card applications respectively. The speed and accuracy at which Amy and Eve can process such transactions enable us to respond faster to our customers. By having robots take over the mundane data entry tasks, our people will be able to focus on serving our customers better and to extend more of the human touch to the customer experience. We understand the ambitions and difficulties faced by start-ups and emerging enterprises and we want to help them grow into sustainable businesses. As these companies scale their operations, we support their needs by offering industry insight and business advisory, and connecting them with alternative equity and debt funding providers for financing. Ms Janet Young, Head of Group Channels and Digitalisation, holding a copy of the State of FinTech in ASEAN white paper at a UOB networking event for venture capitalists and FinTech start-ups. We are also contributing to the development of a FinTech ecosystem in Asia, including sharing our insights online on our UOB Tech Start-up website and by participating in various industry forums such as the Singapore FinTech Festival 2017. On thought leadership, we collaborated with the Singapore FinTech Association, the ASEAN FinTech Network and EY to produce the State of FinTech in ASEAN white paper to help FinTech companies understand the potential business and collaboration opportunities in the region. 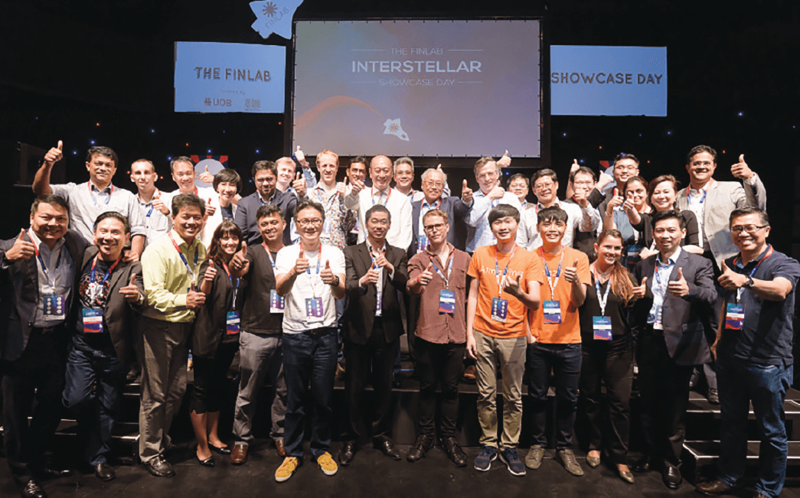 Through The FinLab, an innovation accelerator joint venture between UOB and SGInnovate, we provide guidance, resources and mentorship to FinTech start-ups to help them secure investor funding, to sign commercial deals and to expand into new markets. In 2017, The FinLab completed its second accelerator programme, which saw the participation of eight promising FinTech start-ups from Canada, Israel, Malaysia, Singapore and the United Kingdom that were selected from 400 applicants across 44 countries. The graduates from The FinLab’s second cycle developed and refined their FinTech solutions using technologies such as blockchain, artificial intelligence and machine learning, to drive innovation in regulatory technology, capital markets, business efficiency, financial inclusion, personal finance and mobile payments. During the year, The FinLab also signed a Memorandum of Understanding (MOU) with the Shenzhen Internet Finance Association in China and the Internet Professionals Association in Hong Kong. The MOU aims to encourage knowledge exchange across borders and to help The FinLab’s start-ups expand into China and Hong Kong. Graduates of The FinLab’s second cycle at their Showcase Day. 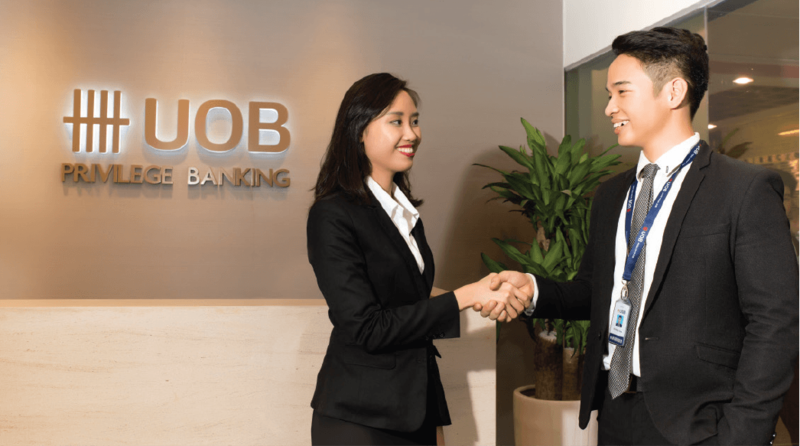 As SMEs form the backbone of Asian economies and as UOB is the largest SME bank in Singapore, we recognise our responsibility in nurturing the growth of small businesses. Since 2016, we have been working with OurCrowd, an equity crowdfunding platform, to support innovative Asian start-ups and SMEs with access to alternative financing options. We connect them to OurCrowd’s global investor network to jumpstart their international expansion and business development. Our collaboration with OurCrowd enables accredited investors among UOB’s clients to broaden their investments into OurCrowd’s portfolio companies. OurCrowd’s portfolio of high-growth, technology-driven companies has also generated interest among our corporate and wholesale banking clients which are looking for innovative solutions for their business. Through InnoVen Capital, our joint venture with Temasek Holdings, we provide entrepreneurs and start-ups in the region with venture debt financing to help them accelerate their growth and to increase the value of their businesses. InnoVen Capital focuses on sectors such as technology, consumer, education and healthcare. UOB and Temasek have each committed up to US$100 million in paid-up capital to InnoVen Capital. 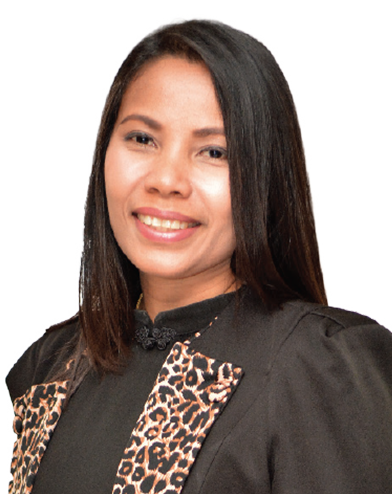 Since the start of our joint venture in 2015, InnoVen Capital has funded more than 20 high-growth companies throughout Southeast Asia including in Indonesia, Malaysia, Myanmar, Singapore and Thailand. 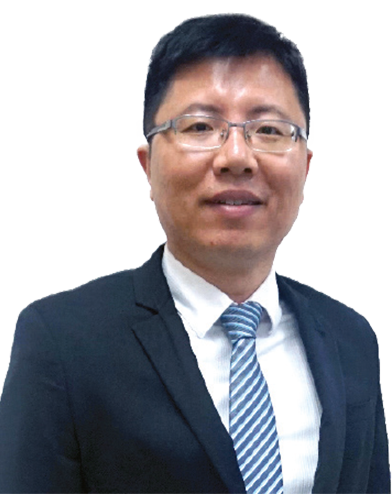 InnoVen Capital also set up an office in Beijing in 2017 to expand its reach in Greater China. Since 2016, we ventured into Islamic banking in Malaysia to meet the growing demand from customers looking for alternative sources of funding in Malaysia. In 2017, we continued to strengthen our Islamic banking operations in Malaysia to provide Shariah-compliant products and services to retail customers and corporate clients. We introduced Shariah-compliant contract financing facilities and provided longer tenures on our customers’ Islamic term financing. We also laid the foundation to incorporate an Islamic asset management subsidiary in Malaysia. We continued to improve our people’s understanding and knowledge of Islamic banking and conducted Shariah-compliant training programmes for all customer-facing colleagues in Malaysia. The passion to serve our customers is reflected in the accolades we have received over the years. In 2017, a total of 1,290 UOB employees in Singapore were recognised for their service excellence at the ABS Excellent Service Award (EXSA). This is a record number of EXSA winners for UOB. Among our winners, 888 received the Star Award, the highest tier of the awards. UOB’s representative also received the ABS Service Excellence Champion Award, which recognises exemplary banking and financial service. This is the fifth time in the past eight years that a UOB colleague has won this industry title. 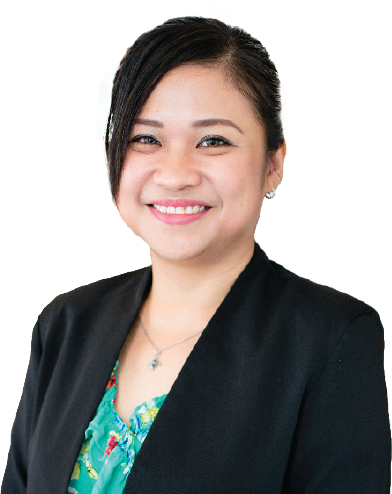 Our colleague Ms Carene Song from Customer Advocacy and Service Quality received the ABS Service Excellence Champion Award, the highest honour presented at the industry’s annual award ceremony. To inspire and to encourage our people to keep raising the values-led standards of customer service across the organisation, we ran our Group-wide customer commitments campaign for the second year in 2017. The campaign culminated in a UOB Customer Commitments Awards (CCA) ceremony to recognise those colleagues who had been exemplary in serving our customers. We received more than 3,750 CCA nominations across the Group and we recognised 85 individual colleagues and 28 teams for being role models who had best demonstrated our customer commitments in their daily decisions and actions. 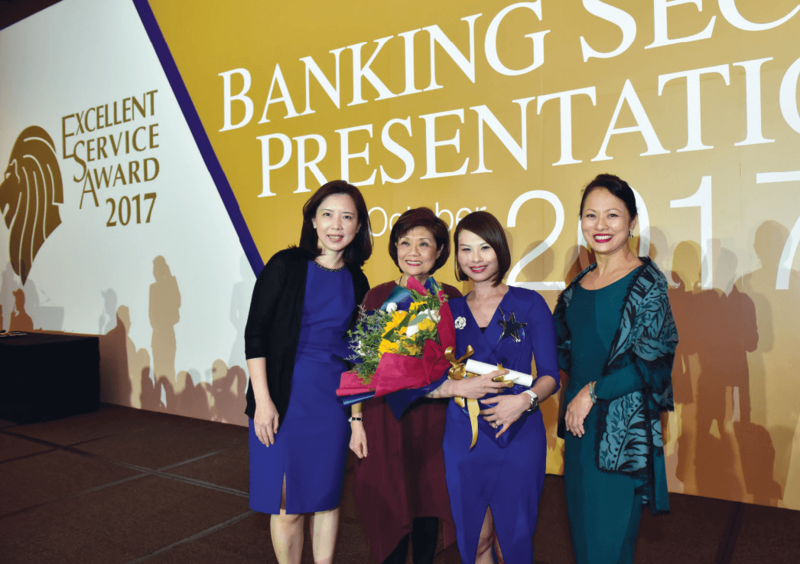 About 1,300 of our colleagues in Singapore were recognised at the ABS Excellent Service Award in 2017. We have a comprehensive global network of more than 500 branches and offices, nearly one million automated teller machines (ATMs) including shared ATMs, and cash deposit, coin and cheque machines to ensure our customers can bank anytime, anywhere. In 2016 we were the first bank in Southeast Asia to enable customers in Singapore to make contactless cash withdrawals simply by tapping their smartphones. Since then, we have added more than 230 NFC contactless ATMs in Singapore, including 140 touchscreen ATMs with a modern aesthetic look. We also continued to refresh our branches to create a more conducive and comfortable banking experience for our customers. For example, we introduced more comfortable seating and Quick Serve counters at selected branches. The Quick Serve counter enables our branch colleagues to welcome and to advise customers on financial solutions and services, with a personal touch. In 2017, we opened our Kunming branch in Yunnan, China to help Chinese companies in Southwest China with their cross-border expansion into Hong Kong and Southeast Asia through onshore and offshore solutions such as cash management, foreign exchange hedging and supply chain financing. In Indonesia, we renovated our Privilege Banking Centres in Jakarta and Medan as well as our universal branch in Jakarta to create a more conducive environment and better comfort for customer meetings. We also established a new Privilege Banking Centre within our branch in Ho Chi Minh City, Vietnam, to serve business owners better. At UOB, we use technology to provide borderless, reliable and efficient service, and are committed to protecting our customers from cybersecurity threats through maintaining the robustness of our risk management systems. Our Group Technology Risk Management Framework outlines our cybersecurity policies, guidelines and tools to protect our customers’ and the Bank’s data and assets. 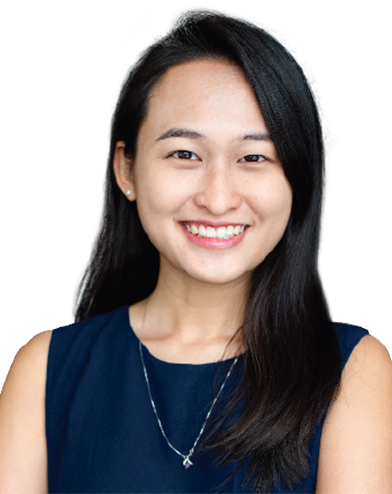 The framework also incorporates comprehensive control requirements set out by the Monetary Authority of Singapore in its Technology Risk Management Guidelines. At the opening ceremony of our Kunming branch in Yunnan, China. Our new Privilege Banking Centre in Ho Chi Minh City, Vietnam. Our team of dedicated Security Operations Centre specialists monitor, detect and respond to potential cybersecurity risks and threats. In addition, we conduct ongoing training on cybersecurity risks for our employees. We collaborated with the ABS and participated in the Financial Services – Information Sharing and Analysis Center to share with our industry peers potential threats and best practices to strengthen our collective defence against cyber attacks. To raise our customers’ awareness of cybersecurity so they can also help protect themselves from cyber attacks, we provide them with regular updates on cybersecurity tips and threats via our website, electronic mailers, text messages and mobile apps. In addition, our BIBPlus customers can download security software to improve the security of their online banking experience. Through these efforts, we contribute to the security and stability of the global financial system and trust in the banking environment. A UOB corporate client wanted to buy a large stake in four heritage buildings in New York and there was stiff competition from other prospective buyers who were also interested in those buildings. It was a complex case, but our team in New York proposed a solution that met the client’s expectations and also fulfilled our banking requirements. The client was able to close the deal on time before their competitors could counter bid. A UOB customer living in London was a victim of a card skimming scam and lost a large sum of money. 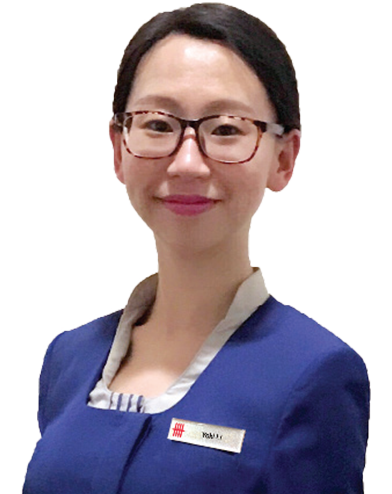 Although she had blocked her credit card and submitted a claim against the credit card fraud, she was anxious about the outcome and shared her concerns with Ms Olivia Wong from the UOB London Branch. 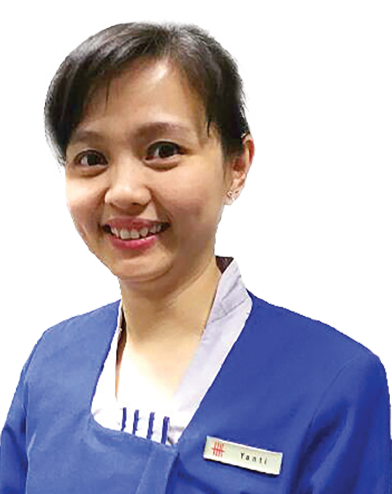 Ms Wong assured the customer and took charge of the matter. She kept the customer updated throughout the investigation process until the money was refunded to the customer’s account. 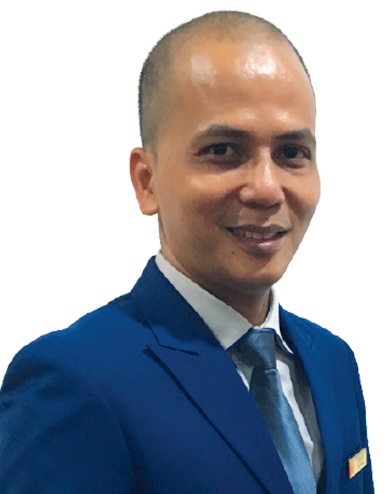 A small business customer in Singapore needed to submit a Banker’s Guarantee (BG) for a tender to his Indonesian client urgently and contacted Mr Colin Kwek from UOB Business Banking for help. He quickly helped the customer to prepare the required forms that very day and worked over the weekend to ensure that everything was in order for the customer to submit his paperwork on Monday morning for processing. Mr Kwek monitored the processing status closely and the BG was ready on Tuesday although the customer had only expected to receive the BG later that week. A UOB retail customer in Singapore was trying to link his debit card to a taxi booking mobile app to pay for his rides but he did not know how to do so. He called the Bank’s customer service hotline for assistance even though the mobile app was not a UOB product. Ms Sheny Koh of Call Centre attended to him and took the initiative to search online for information about the app. She guided the customer in linking his debit card to the app. She also took the time to explain the security features of his debit card such as setting a daily limit for spending, when he expressed his concern about using the card. Company Reg. No. 193500026Z. All Rights Reserved. As part of our efforts to reduce our environmental footprint, we will no longer distribute our Annual report by way of a CD-rom. We would like to invite you to join us in our sustainability efforts and refer to the electronic Annual Report.